American Garage Door LLC is a fully licensed and insured dealer of residential and commercial garage doors, openers, and hurricane shutters. We serve Mandeville, Covington, Slidell, the New Orleans Metro area, and the entire Mississippi Gulf Coast. 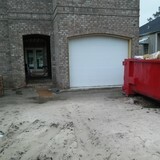 Free estimates included on all new and replacement garage doors and openers. At American Garage Door, we set ourselves apart through the service we provide to our customers through the 18 years of garage door and opener experience and hands-on owner involvement with each project. We are fully insured and can provide a Certificate of Insurance upon request. Our technicians are equipped with the knowledge and skills to provide you with a positive experience. What kind of services do Pearl River, LA garage door dealers and installers provide? Garage door professionals specialize in the selection and installation of residential garage doors and openers that fit your budget, style and needs. 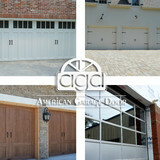 This includes choosing a garage door style — or designing a custom garage door — that blends in with your home’s exterior, selecting materials, determining a technological system that supports your security and access needs, determining proportions and dimensions, finalizing decorative designs and ensuring that everything meets Louisiana compliance and building codes. Find garage door sellers and installers in Pearl River, LA on Houzz. Narrow your search for Pearl River, LA garage door sellers and installers by selecting the nearest city or zip code. Look at portfolio and product photos, and read reviews to find the best Pearl River, LA garage door professional for your home.